R. V. Jones, the son of a soldier in the British Army who served in the Boer War and the First World War, was born on 28th September, 1911. Educated at St. Jude's School in Herne Hill he won a London County Scholarship and went to Alleyn's School in Dulwich. Later he studied physics at Oxford University where he worked with worked with Frederick Lindemann. He obtained his doctorate worked under H. H. Plaskett on the infra-red spectrum of the Sun. As a result of publishing an article on infrared detectors he was invited to join the government project that was experimenting with radar at the Clarendon Laboratory. Jones was responsible for co-ordinating scientific intelligence during the Second World War, and helped with the development of radar, breaking the secrets of German Beam navigation, preparing for D-Day and helping Britain deal with the VI Flying Bombs and the V2 Rockets. After the war Jones was professor of Natural Philosophy at the University of Aberdeen (1946-1981). 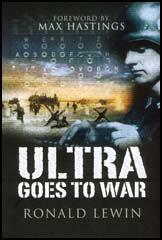 He published his autobiography, Most Secret War: British Scientific Intelligence 1939-1945 (1978). (1) In his autobiography R. V. Jones wrote about his work with Frederick Lindemann at Oxford University. I can recall walking back to Wadham one evening in 1933 from the Clarendon, just after Hitler came to power. Lindemann pointed out to me that the world was heading towards dictatorships, with Stalin in Russia, Mussolini in Italy, Hitler in Germany; and Roosevelt had just won the Presidential Election in America. He wondered whether we should be able to survive without becoming a dictatorship ourselves. Within a few weeks the Oxford Union Society passed its notorious resolution which had been either proposed or supported by C. E. M. Joad, that "Under no circumstances will this house fight for King and Country'. I was not a member of the Union, but I was disgusted. The news of the motion reverberated around the world. (2) R. V. Jones was one of those who was opposed to the appeasement policy of Neville Chamberlain and his government. I returned to London on the evening on Monday 26th September, and felt the tense calm of the London streets as people braced themselves for the seemingly inevitable war. Then came Chamberlain's return with his pathetic scrap of paper and his "Peace in our time" speech. I was as angry as a cat which has just been robbed of its mouse. Those who felt like that were a minority among the almost hysterical majority who thought that Chamberlain had done a great thing. On 15th March Hitler had invaded Czechoslovakia and on 7th April Mussolini had taken over Albania. The treachery of the Munich Agreement was as last obvious, even to Chamberlain; he now gave a guarantee to Poland, and so all would depend on whether the Germans would be satisfied with their present gains. (3) R. V. Jones worked for British Scientific Intelligence during Dunkirk. Around 20th May I well remember John Perkins coming into my office and going up to the map on my wall and saying, "This is the situation. The Germans are here and here and here and our Army is cut off and retreating to the sea at Dunkirk. The Chiefs of Staff think that we shall be lucky if we get twenty thousand out." The position seemed hopeless and yet by the end of the month we had recovered three hundred thousand. The country was fired by the epic of the small boats that had sailed, some as many as seven times, into the teeth of the Luftwaffe to bring back our Army; and among those who took their boats to Dunkirk was my cousin Reg Mytton. I heard of the Commander-in-Chief, Lord Gort, standing on the beach with two Guardsmen as loaders while he tried to shoot down German dive bombers with a rifle. Ports were being heavily bombed. Rationing was biting hard; and any remaining amenities of peace-time life was biting hard; and any remaining amenities of peacetime life were disappearing fast. A German invasion in the summer still seemed likely, and a counter-invasion of the Continent by us extremely improbable for long into the future. I used to look at my wall map every morning and wonder how we could possibly survive. Anyone in his right senses would do the best deal he could with Hitler - but we had no thought of it. Even though we were tired by the Blitz, there was that "white glow overpowering, sublime that ran through our island from end to end'. It can be hardly be described to those who did not experience it; it must lie very deep down among human emotions, giving the individual a strange, subdued elation at facing dangers in which he may easily perish as an individual but also a subconscious knowledge that any society which has a high enough proportion of similar individuals is all the more likely to survive because of their sacrifice. 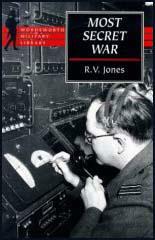 (5) R. V. Jones first became aware of the German VI Flying Bomb project in August, 1943. On 22nd August an object had crashed in a turnip field on the island of Bornholm in the Baltic, roughly half-way between Germany and Sweden. It was a small pilotless aircraft bearing the number V83, and it was promptly photographed by the Danish Naval Officer-in-Charge on Bornholm, Lieutenant Commander Hasager Christiansen. He also made a sketch, and noted that the warhead was a dummy made of concrete. At first, we were not sure what he had found. From his sketch it was about 4 metres long, and it might have been a rather larger version of the HS 293 glider bomb that KG100 was now using against our warships in the Mediterranean. Indeed, it turned out that this particular bomb had been released from a Heinkel III, but it was in fact a research model (the 'V' probably stood for 'Versuchs' i.e. research) of the flying bomb about which we were going to hear so much in the next few months.